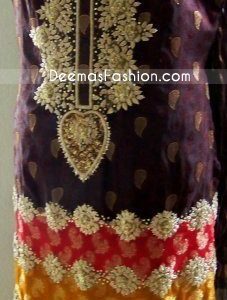 Tags: Deep Red, Designer Dresses, Formal, Heavy. 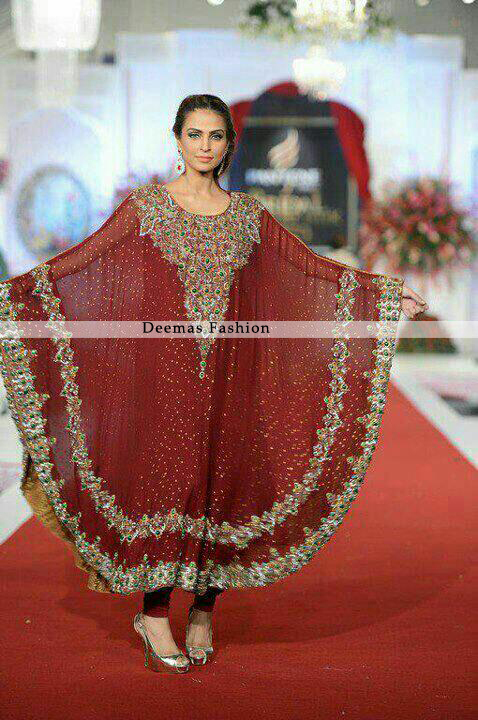 Deep red pure chiffon poncho has been adorned with embellished neckline. Beautiful embroidered border has been implemented on edges. Stones spray scattered all over the dress. This dress comes with churidar pajama.